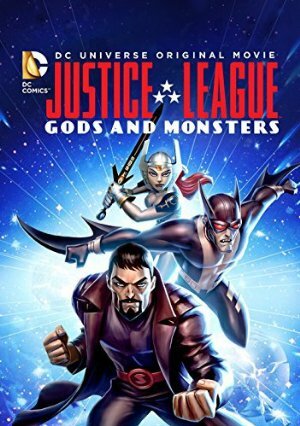 In an alternate universe, Superman is the son of Zod and was raised by a caring couple of Mexican immigrants living in harsh conditions, Batman is a young vampiric doctor, Kirk Langstrom, obsessed with an everlasting search for a cure for his disease and Wonder Woman is Bekka, the widowed queen of the world of Darkside. The three antiheroes unite and create the Justice League, despite wheelchair-bound Lex Luthor and others' protests. They operate often outside of the law and often kill the villains, but the US government tolerates them and works with them to an extent, since the three are willing to cooperate with the authorities and they never kill civilians. However, the all out paranoia and protests against their methods and untouchable position are growing. Things take a turn for the worse, when they are framed for a series of murders of famous scientists, who work for the government, and President Amanda Waller orders their arrest. They decide to violently resist arrest at all cost, until they can find the real culprits themselves.